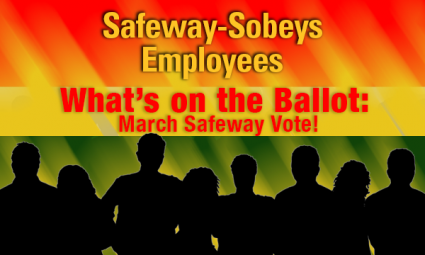 What is on the ballot in the upcoming March Safeway vote? The Safeway Bargaining Committee is unanimously recommending acceptance of the following memorandums, which were negotiated on behalf of Safeway workers. The votes will take place March 2 to March 11, 2015 across the province. Safeway members are strongly encouraged to come out and vote and make your voice heard!